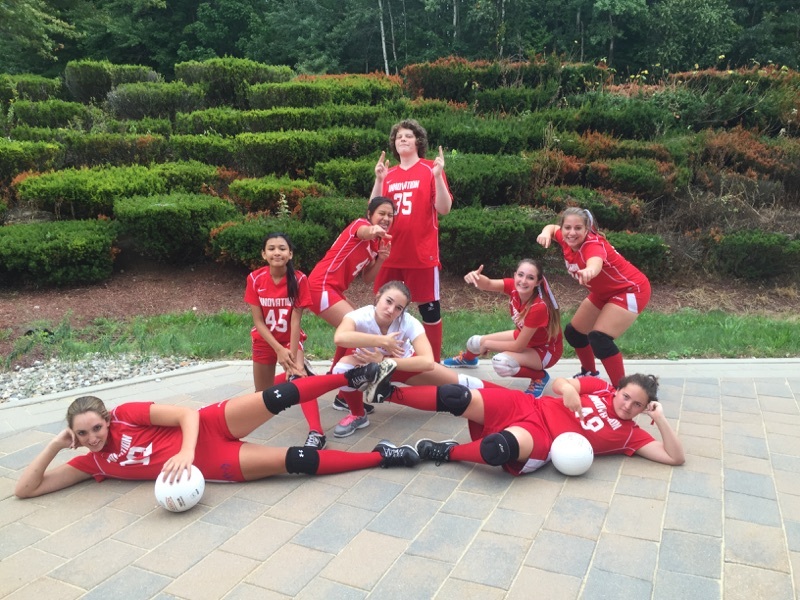 Bump, pass set, score, IACS has welcomed a new volleyball team to the list of fall sports. Freshman, Marisa Fertitta, one of the players on the team, was the one who asked Mr. Mckinnon to create the team. Fertita was asked why and she responded, “Because I played in middle school and we didn’t have a high school team so I was like ‘Hey McKinnon, we should totally have a high school volleyball team!’”. With two games already played, one win and one loss, they’re off to a pretty good start. The team’s first game was at Whittier Tech in Haverhill, MA, against the Junior Varsity (JV) team, losing 29-27, best two out of three. Academy (AMSA), against their team, the Eagles, who are also a JV level team. They won, best 3 out of 5, with an average score of 25-16. Practices for the volleyball team have been enjoyable and the improvement of players have been significant. The team has been working very hard, with practices on Mondays, Tuesdays, and Thursdays. There has already been a good start for the volleyball team with 3 weeks into the season, so hopefully the rest of the volleyball season finishes off great! Thanks to Marisa, IACS now has another team for us to cheer on. GO HAWKS!